House as advertised online. Very nice home on the water with huge flat yard to play outdoor games. Giant fire pit and fun for everyone. Inside was beautiful. Owner was very responsive and fast to restock the firewood upon arrival. We really enjoyed our weekend at Poppy’s Hideaway. The Firepit, river access and overall charming cabin feel made our annual cabin trip with great friends one of the best yet. Thanks! My dream weekend of a beautiful mountain house along the river with my family was exponentially surpassed. The location is paradise. The house is gorgeous in and out. The house had everything you need to stay in all day long and cook and sit by the warm fireplace. I could not find a complaint if I tried. The rental firm was more than a pleasure to work with along with fantastic communication. We will be back to this location again. Poppy's Hideaway thought of everything! The rooms were well decorated. Everything was comfortable. We had fun cooking in the kitchen, laughing around the firepit and playing games. This cabin was gorgeous, inside and out! Well furnished, beds were super comfy, big sectional couch in the living room that we always fell asleep on, so comfy. Loved the decor. Outside area under the cabin was amazing, outdoor kitchen and dining and relaxing area. The fire pit in the back yard was huge, we loved it! They have canoes and kayaks but the river was very high so we were not able to use them, but there is plenty of supplied activities. 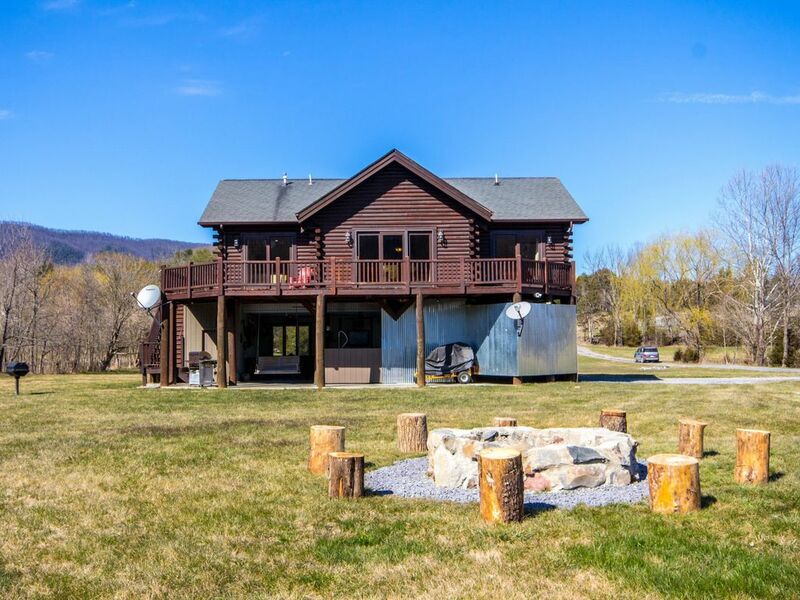 Great location right on the river and semi secluded, you can only see one neighbors home. I would definitely come back. The property is beautiful inside and out! Everything was immaculate during our visit. There is plenty to do on site (fire pit, horse shoes, canoeing, etc.) and Luray is a scenic 10 min drive away if you want to check out the caverns or grab a bite to eat. Will definitely be coming back again!